THE BOOK: Daffodils and Fireflies. THE AUTHOR: Claudia J. Taller. THE EDITOR: Members of Skyline Writers and Word Lovers. THE PUBLISHER: Moonshine Cove Publishing, Abbeville, South Carolina, Gene Robinson presiding. SUMMARY: When her mother is dying, Betsy Kramer makes the uncharacteristic decision to return to her home at Windy Hill. At her mother’s funeral, Tom, the only man Betsy ever loved, returns and reminds her that daffodils were once her favorite flower. Lingering at Windy Hill, Betsy finds letters from her estranged father hidden in a hatbox and realizes the enormity of the lie perpetrated by her mother. As Betsy and Tom start spending time together, picking peaches and antiquing, Betsy faces her biggest demon, and even the fireflies hovering over the Magical Pond can’t help her. 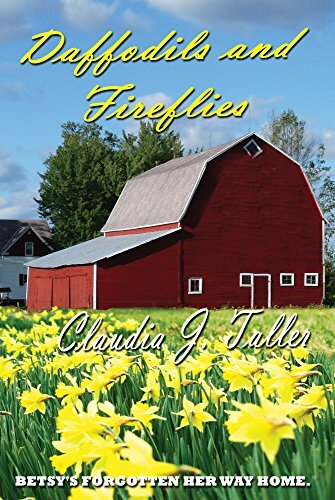 With vivid imagery and deep feeling, Daffodils and Fireflies chronicles one woman’s journey home again while rediscovering love. Although considered literary fiction, the book has a strong romance element to it. THE BACK STORY: This book was inspired by a quiet book I read about the relationship between two women in the Arctic and how they worked out their life issues together. The character and her story evolved into a commentary on how being molested and keeping secrets can change the course of a life and how hard it is to heal the wounds. It took me five years to write it, the final version was written in a hermitage in the woods at Mount St. Benedictine Monastery in Erie, Pennsylvania. WHY THIS TITLE? : Daffodils were Betsy’s favorite flower and represent hope. Fireflies appear in the story when there are unresolved issues, sort of like nagging gnats. WHY WOULD SOMEONE WANT TO READ IT? The book is a great book discussion book because it covers so much territory. Find relevant questions at http://www.claudiajtaller.com/wp-content/uploads/2015/04/Daffodils-and-Fireflies-Questions.pdf. I think of the book as women’s fiction, but the publisher felt it had lots of things to say to men. 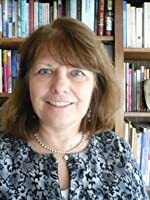 AUTHOR COMMENTS: I’ve written over 300 articles in the last fifteen years, and they all relate to finding abundance in life before you miss it. The last piece I wrote was about a young woman who runs, and no longer drinks: http://womensrunning.competitor.com/2016/03/inspiration/one-runner-finds-strength-stay-sober-running_56493. My mother died during daffodil days. Now, as the bright yellow and white flowers brighten the hillside above Willow Beach, I think about how the daffodils drooped near the back stoop of Windy Hill, our family’s farm, while I wondered what would happen to the farm. Maybe those daffodils had been a sign that things were going to change, a reminder that life would go on, and I had some decisions to make. The rippling waves of Lake Erie wash over the sandy shore and claim it with the sigh of letting go. Moments after it succumbs to the land, the water pulls back and under, rolling out again, collecting energy and vigor, like a long intake of breath. The water falls into the depths then reaches for the far horizon, a falling and rising that is incessant and urgent, not to be ignored. The ancient rhythm of water calms and rejuvenates me. On the day my mother died, I walked those miles from Windy Hill to Willow Beach without thinking about my feet. I needed to be by the water. My mother liked to touch her forehead against mine as I rested my face on her lilac-scented pillow. On the night before she died, she playfully brushed my cheeks with butterfly kisses. She wanted me home again, away from the clanging life that kept me from sleep. The memory of that moment floats in and out of dreams and through my daylight hours, yet it’s true meaning eludes me. There is much to know about Mom, her love affair with my father, and what she knew and didn’t know about Jerry and me. I linger in familiar childhood places, not quite knowing why. The voices of the men on the other park bench rise over the roar of the surf. “Yeah, I’ve lived in these parts nigh sixty years. You cain’t always see the horizon,” the shriveled old man sits with his legs crossed, revealing white socks tucked into black shoes. His smoky voice reminds me of my mother’s husband Ben. That was the question I started with after Mom died. Death has a way of helping you know life’s short. “I’m 44 years old and I’m starting over,” The younger man said. The menacing call of the gulls and the squawking of the migrating geese fill the stillness of a conversation ended. I close my eyes. I started over in mid-life too. Was it God’s will or the result of mistakes made along the way? I’m not sure that they were my mistakes and I’m not sure how much God’s hand has been in it. I was in the middle of living the life of an editor living in a downtown Cleveland warehouse apartment. Every month, I escaped to exotic jungle-tangled and God-infused places as I put together Leisure Travel magazine. Sometimes, I went to Alaska or Paris or Australia on assignment. But mostly, I was an armchair traveler. Until I got the phone call from Cassie. If you knew me then, you would have been surprised that I went home at all. CONTACT THE AUTHOR: Website is http://claudiajtaller.com;/ Facebook is Claudia.Taller. Email address is Claudia.taller@yahoo.com. Amazon page is https://www.amazon.com/Claudia-J.-Taller/e/B00O9OICSU.